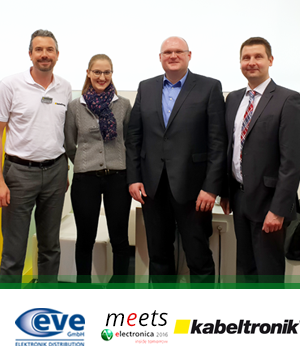 Purchasing manager Marcus Peters and marketing manager Michael Kujat of EVE GmbH today visited the manufacturer Kabeltronik, supplier of special cable solutions Made in Germany, at electronica. Mrs. Müller and Mr. Heberling from Kabeltronik informed about planned innovations and new developments. In addition, the positive development of the business relationship was emphasized and a completion of the product range was recorded for the near future. The special cable supplier Kabeltronik presents cables for the booming LED market. In the past, light bulbs were mainly used, but since 2009 more and more LED light sources have been used. The advantages of LED light sources are lower power consumption and heat dissipation, higher efficiency and longevity. They are used in all industrial areas. We currently offer highly flexible LED leads from the German manufacturer in our range. RGB + return conductor, RGBW + return conductor each in black and white as well as 1 version each with UV-stable, weatherproof PUR jacket for outdoor use. For RGB / RGBW the cross-section is 0.5qmm, for the return conductor 1.0qmm. The return conductor therefore has twice the cross-section of the colour core. A novelty is the RGBW variant, which for the first time includes a separate supply line to the white (W) LED. All variants have a highly flexible, fine-stranded (0.07mm) stranded conductor. They are therefore also ideal for mobile applications. The white version is manufactured without imprint in order to create as little contrast as possible on white substrates. You can view the entire selection with a variety of Kabeltronik products in our online shop. 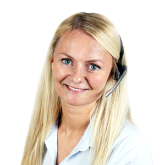 Our sales team is also looking forward to your inquiry!